Peter Parker leads a busy life, splitting his time between his role as Spider-Man, finishing off the bad guys, and going to school with the person he loves, Gwen. Peter does not attend graduation. He hasn’t forgotten the promise that he made to Gwen’s father to protect her and keep his distance from her, but it is a promise that he simply cannot keep. Things will change for Peter when a new villain, Electro, appears and an old friend, Harry Osborn, returns, just as he discovers new clues about his past. 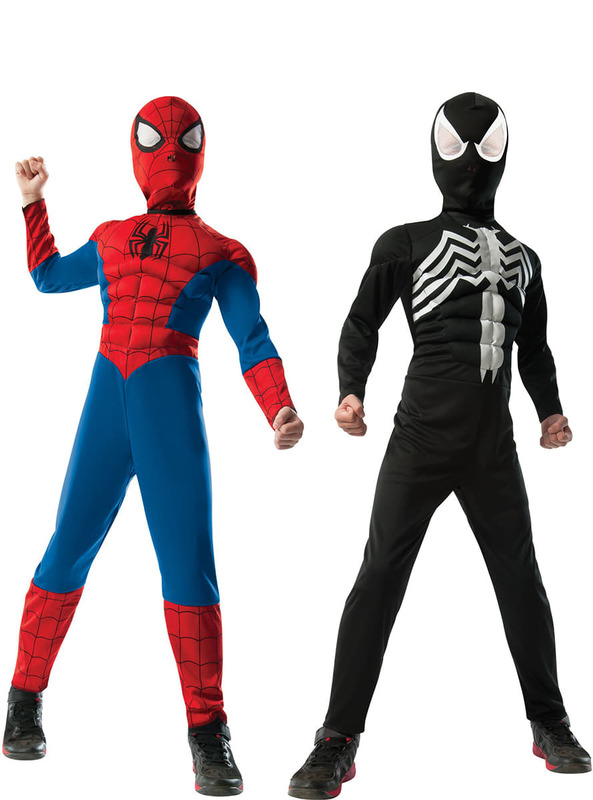 This contrasting Ultimate Spiderman costume includes a jumpsuit and a reversible mask. One side shows the classic uniform of the red and blue superhero and on the other side, the black suit he acquired thanks to the symbiont alien who took him over. Upload your photos to Instagram with the hashtag #funidelia followed by #funidelia12703. 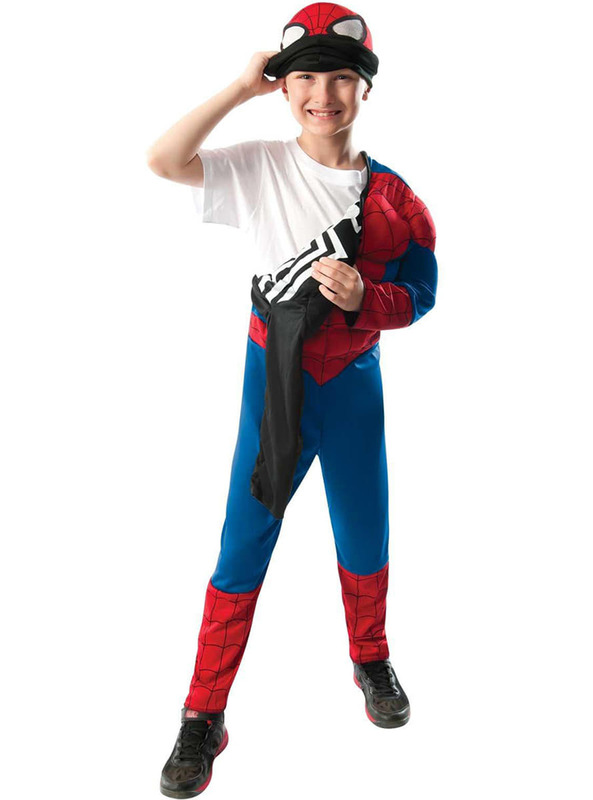 Product Rating: "Reversible Ultimate Spiderman costume for a child"